Ceramic table tops are becoming more and more widespread: from the tables, to the kitchen countertops, to the bars and to the bathroom furniture. 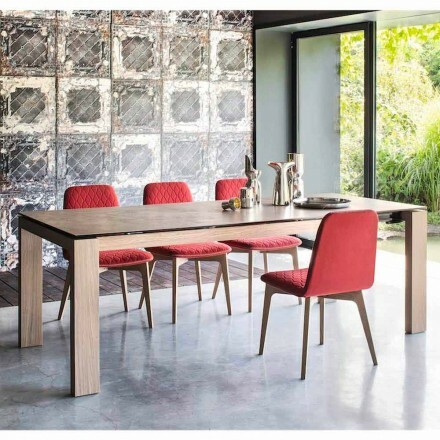 Ceramic tables have become one of the last trends in the designer furnishing sector, especially for the kitchen and for the dining room. Their increasing success is due to several factors: clean and contemporary lines, high technology and the continuous research for innovation. Worth mentioning are the many advantages of ceramic: being highly resistant to fire, cuts, shocks, scratches and abrasions, it is also resistant to chemical agents, heat and UV rays. Moreover, it is oil and fat resistant. It does not require specific care and it is extremely easy to clean. 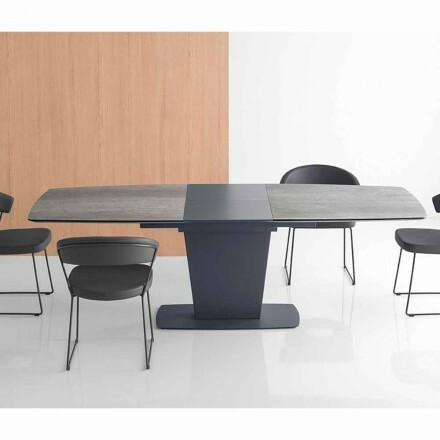 Most ceramic tables available on the market consist of a ceramic table tops of 3 mm of thickness mounted on a underlying layer of glass, crystal or mdf (of variable thickness 1-3 cm). 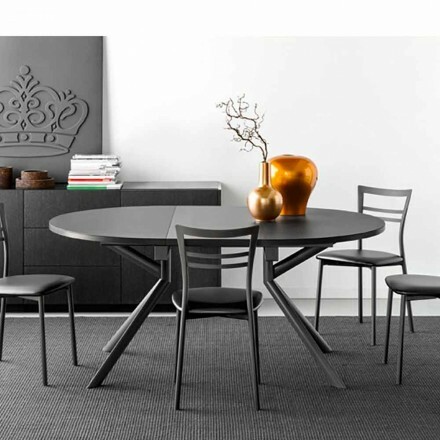 The legs and the frame of the table are generally made of wood, aluminium or steel. Its main producers do use a specific terminology to indicate the countertops' materials, like Glass-ceramic, Super Ceramic, Crystalceramic, Laminam® and many more. For instance, Glass-ceramic is a precious material, consisting of a 1 cm thick glass plate and of a 3 mm ceramic layer. Being cooked at 1200° C , it is impossible to scratch the glass-ceramic top. You will be able to use these tables with the maximum tranquillity, even cutting or putting hot pots on them! 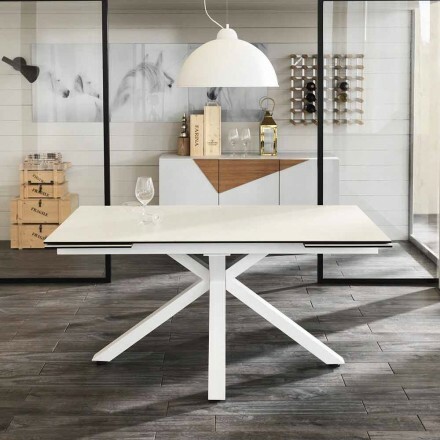 On Viadurini you will find a large selection of extendable ceramic tables and of ceramic extensions. 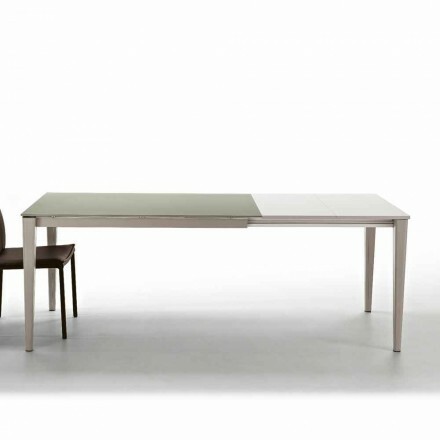 The available dimensions vary from 140 to 200 cm, with extensions from 40 to 50 cm long. How to clean ceramic table tops.